Written: Clients receive a written, signed copy of the support guarantee on their Bark Busters receipt which is an official Bark Busters USA document. Backed Up: The Bark Busters guarantee is backed up by one of the largest dog training companies in the world. It is important to keep this document safe as proof of your support guarantee. Limitations of Cover: The Bark Busters support guarantee simply states that if the client consistently carries out the dog training instructions and methods provided at the training lesson, the Bark Busters therapist will work with the client for either one year, or the life of the dog (depending on the service obtained) at no additional charge. Most clients prefer the lifetime support guarantee because they receive peace of mind for very little additional cost. The guarantee is a support guarantee and does not guarantee to fix the behavior problems you are experiencing with your dog(s). The support guarantee is valid for those areas where there is an active Bark Busters Therapist. A copy of your original receipt is required to receive on-going support. If you move to an area where there is not an active Bark Busters therapist, support will be provided via telephone and email. The support guarantee is only valid for the dogs listed on the receipt and is not transferable to another dog. If a dog passes away or is euthanized the support guarantee and contract is rendered null and void. The support guarantee is valid only for the primary address registered. The support guarantee is valid only for the adults listed on the receipt at the primary address. The guarantee is not a money back guarantee. The support guarantee is valid for business hours as provided by the therapist. All Problems Covered: The support guarantee provides for ongoing, free assistance in dog behavior correction, no matter if the same problems reoccur, or if new problems arise. The Support Guarantee Moves With The Dog: If for any reason your dog needs to be re-housed with a new family, the Bark Busters lifetime support guarantee is transferred to the new owner (transfer fee may apply), for the life of the dog provided the new location is serviced by a Bark Busters trainer. If the new location is not serviced by a Bark Buster trainer, the owner can request support in the form of email, phone or video chat (Skype, FaceTime or similar apps) from Bark Busters USA (transfer fee may apply). * The One-year Bark Busters support guarantee applies if the re-housing is done within twelve (12) months of the date of the first lesson on the original receipt (transfer fee may apply). Clients can upgrade to the lifetime support guarantee for an additional charge. The new owner must produce the original receipt to receive support under the guarantee. The Support Guarantee Moves With The Owner: If the owner moves to another location, the support guarantee continues to be valid, either for the life of the dog, or one year from the date of the first lesson, depending on the service purchased and provided the new location is serviced by a Bark Busters trainer. If the new location is not serviced by a Bark Buster trainer, the owner can request support in the form of email, phone or video chat (Skype, FaceTime or similar apps) from your original trainer or by Bark Busters USA if your trainer is no longer available. Clients who move to parts of the world where Bark Busters has locations are also covered. Limitations of Cover: The guarantee may not be transferred to another dog. The guarantee is not a money back guarantee. If the dog is euthanised or the dog dies the guarantee is rendered null and void. All training advice must be adopted by the owner in order for the guarantee to remain valid. If the owner adopts an alternative form of training without prior discussion with their therapist this will render the guarantee null and void. Over 28 Years of History: Bark Busters has grown to be the largest dog training company in the world, with over 1 million dogs trained. The lifetime support guarantee has been part of the company since 1989 when company founders, Danny and Sylvia Wilson, decided that it would help to significantly reduce the number of dogs that were being euthanized, and provide customers peace of mind for many years. The company is expanding rapidly in the USA and internationally, and can be counted upon to fully honor its guarantee. 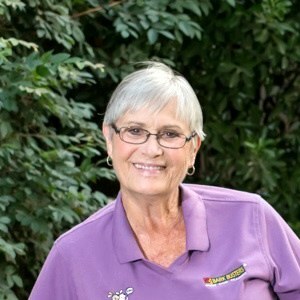 My name is Barbara Gazley and I have been successfully training dogs for more than 13 years. In fact, our proven dog training methods succeed where classes or other programs have failed.